One of the most important aspects of pet ownership is knowing what our furry friends can and can’t eat. We would like to think that our wonderful rats can tell the difference between safe and unsafe food but unfortunately, rats don’t have that ability and they will eat anything they can get their mouth on. That’s why we need to research safe foods before getting a new pet and prior to offering an unfamiliar food. So, can rats eat grapes? And what other foods do you need to avoid offering your loveable mischief? Keep reading below to learn about 5 foods rats must avoid eating. While grapes can be toxic for some animals, grapes are perfectly safe for rats to eat. They’re sweet and refreshing and your rats will love having grapes included in their rotation of treats. However, like with all fruit, grapes should be offered in moderation. The reason being is fruit is high in sugar and often has a high water content. Both of these factors can cause gastrointestinal distress and diarrhea in rats when consumed in high amounts. To avoid a possible choking hazard, peel grapes before offering them to your rats. You shouldn’t need to cut them but if your rats seem perplexed by the odd shape, feel free to cut the grapes into smaller pieces. Although citrus fruit hasn’t been proven dangerous for female rats, you should never offer any fruit from the citrus family to the male rats in your mischief. This is because citrus fruits contain a naturally occurring chemical called D-Limonene. In male rats, D-Limonene has been shown to cause cancer when consumed in high amounts regularly. It only affects male rats because they have a protein called alpha2u-globulin in their kidney that female rats don’t have. This protein reacts with high levels of D-Limonene by causing protein to build up in the kidneys. This build up results in the development of tumors. A single piece of citrus likely won’t harm your rats but it’s better to be safe than sorry and avoid citrus altogether. Common citrus fruits include: oranges, grapefruit, lemons, limes, kumquats, and tangerines. Mangoes are also considered part of the citrus family and should be avoided. Dried corn is dangerous for rats because it is often contaminated with high levels of fungus shown to cause liver cancer. In addition to fungus, corn contains a large amount of nitrites and amines. These chemical compounds are dangerous because they produce a carcinogen known as nitrosamines. Fresh corn is safe and you can offer it to your rats, but it is best to limit their intake and avoid commercial foods that list corn as an ingredient. Cooked sweet potatoes are a nutritious treat to offer your pet rats in moderation. They are a good source of complex carbohydrates, dietary fiber, and Vitamin C. Raw sweet potato, on the other hand, is dangerous and should be avoided at all costs. Raw sweet potatoes contain compounds that are capable of producing cyanide within a rat’s stomach. Cyanide is a dangerous chemical that is life-threatening especially when consumed in high doses. Cooked sweet potatoes are safe for rats to eat in moderation because the compounds that allow cyanide to form lose their potency. Some people do recommend avoiding sweet potato altogether to be on the safe side but it isn’t necessary. Before offering your rats a bite of your poppy seed muffin – think again. Poppy seeds are very dangerous for rats because of the risk of neurological damage or death when consumed in large amounts. Always read the ingredient list before offering a piece of human food to your rats because poppy seeds can be found in a variety of foods like bread, muffins, pastries, and crackers. Uncooked or dried beans are a food you should never offer your rats and they are dangerous for us too! Beans that haven’t been cooked or soaked properly contain anti-nutrients that destroy the Vitamin A and enzymes needed for protein and starch digestion in rats. They can also cause their red blood cells to clump affecting their overall health. To put the dangers of raw beans in perspective, they are toxic for humans when consumed in high enough amounts. Our rats are much smaller than us, so they will become toxic at a much more rapid rate. Some of our favorite foods make great treats for rats. However, not all food is safe and it’s our duty to protect our furry friends. 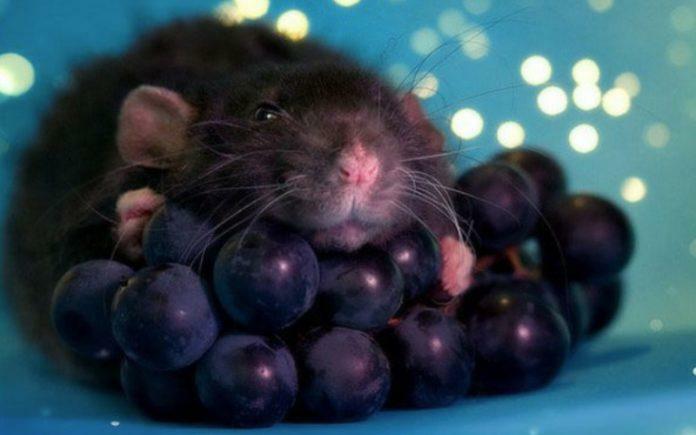 You now know rats can eat grapes & are aware of the 5 foods above that can be an issue for rats. If you aren’t sure, the internet is a great resource for finding reputable information on safe food for rats.